Dawn of Titans is a Android Free 2 play, Action Strategy MMO Game ,where players build their own kingdoms, wage war with larger-than-life Titans and compete in real-time battles. In Dawn of Titans, players are immersed in a breathtaking, high-fantasy world where they build their own kingdoms, wage war with larger-than-life Titans and compete with their friends in real-time - all from the palm of their hand. 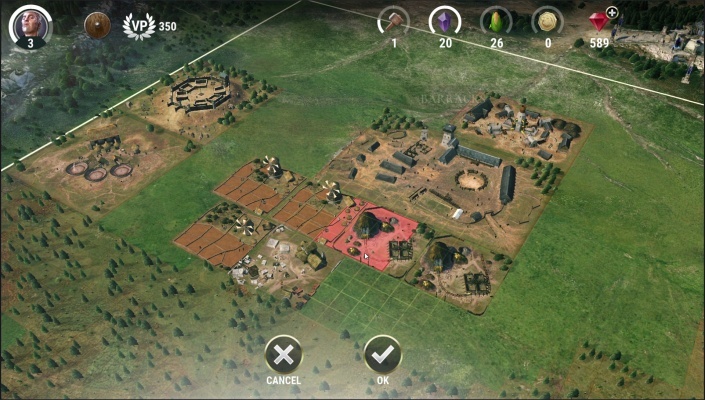 The free-to- play social game ushers in a new level of mobile entertainment with stunning visuals and industry-leading battle control mechanics, allowing players to swipe or tap into action while seamlessly deploying and manoeuvring thousands of troops. 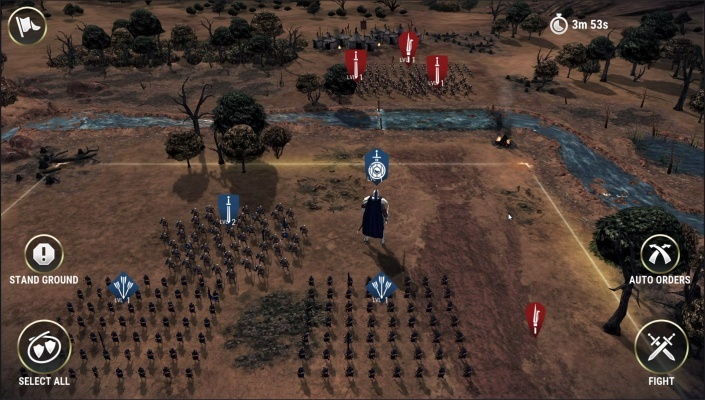 The game’s deep social features enable players to battle with their friends, join Alliances and Leagues, ascend Leaderboards and reap the spoils of combat. Dawn of Titans features an original storyline and lore that draws inspiration from fantasy worlds and medieval eras. From the moats, villagers and waterfalls found in a player’s kingdom, to the epic battles and enemy plinths - the game creates a visually compelling 3D experience that supersedes anything found in the mobile Action Strategy category today. Dawn of Titans is further brought to life with a custom soundtrack that dynamically changes depending on where a player is in the game. Powering Dawn of Titans is NaturalMotion’s proprietary technology and toolset, creating unprecedented visuals, character animation, rendering and depth-of-gameplay. NaturalMotion’s technology has been relied on by some of the biggest theatrical blockbusters and console video games over the last decade. Applying these tools to the mobile platform brings the world of Dawn of Titans to life, giving the Titans dynamic, authentic movement while simultaneously rendering thousands of troops on-screen. Dawn of Titans is the ultimate battle between good and evil as players strive to defeat their mortal enemy, Almarand. 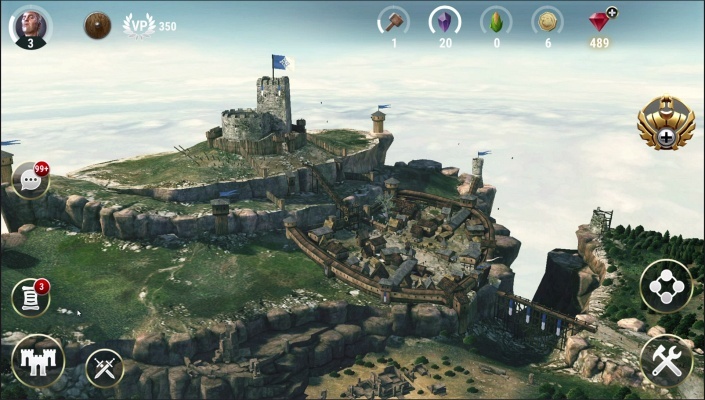 As the ruler of a small kingdom, players upgrade their buildings and land while recruiting and training troops to strengthen their territory against enemy attackers. 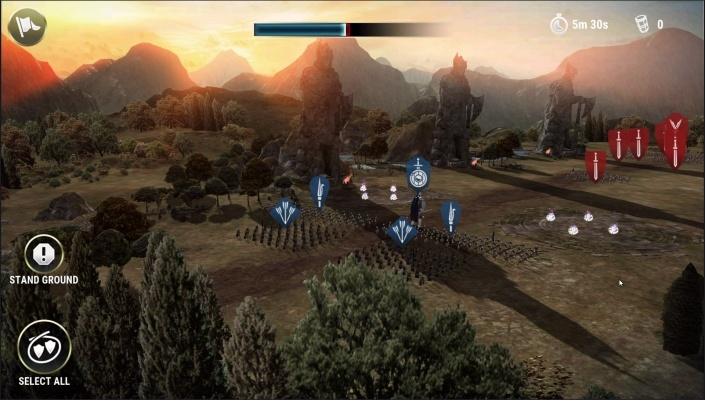 As they advance in the game, players engage in battles to increase the reach of their empire and earn valuable Victory Points. 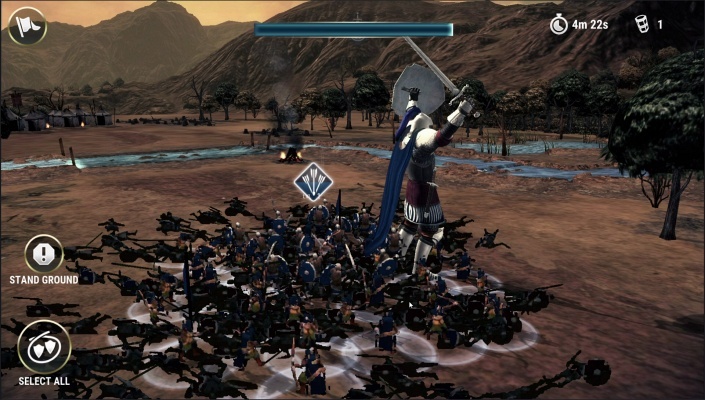 Players can invade neighbouring territories throughout Dawn of Titans by raiding them to earn resources or capturing them to put the enemy’s land under their control. Aiding players in these battles are the Titans which belong to five factions - Human, Unak, Elithen, Mossmane and Ragnar - and come in a wide spectrum of sizes and genders. Each Titan has unique assets that players can use to their advantage as they prepare for war. Players can increase the strength and skill of their Titans by deploying them in battle to earn Experience Points (XP) and unlock more advanced Titans. Players can level-up their Titans, fusing their powers in a quest to create the most powerful Titan. 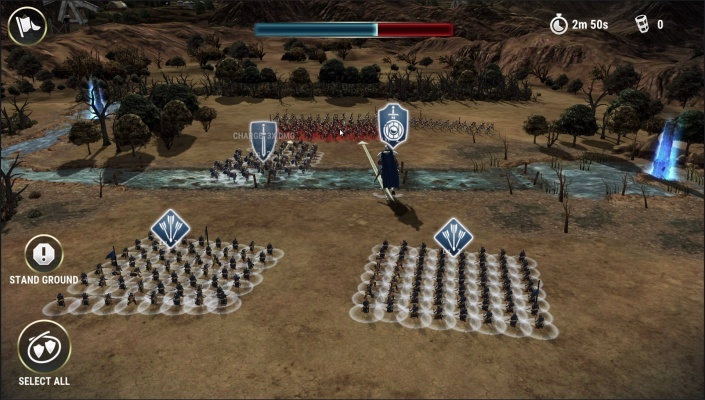 Dawn of Titans also includes a new Titan Faceoff section, adding more strategic combat depth and allowing players to see how their Titans and troops stack up against the competition before heading into battle. 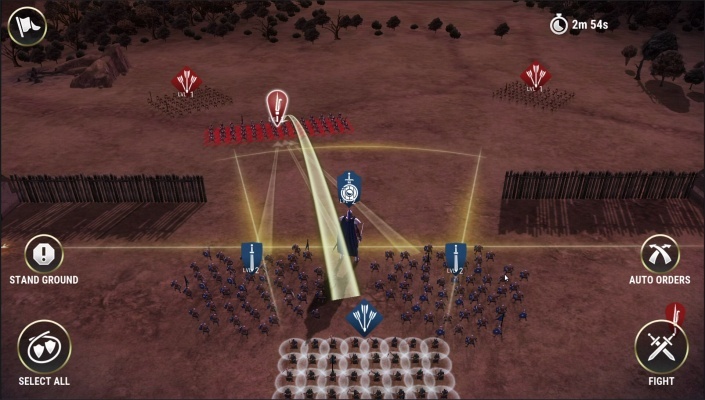 Titan Faceoff includes a strength meter that enables players to adjust the power, range and speed of their troops, while deploying spells and other resources to enhance their combat approach. 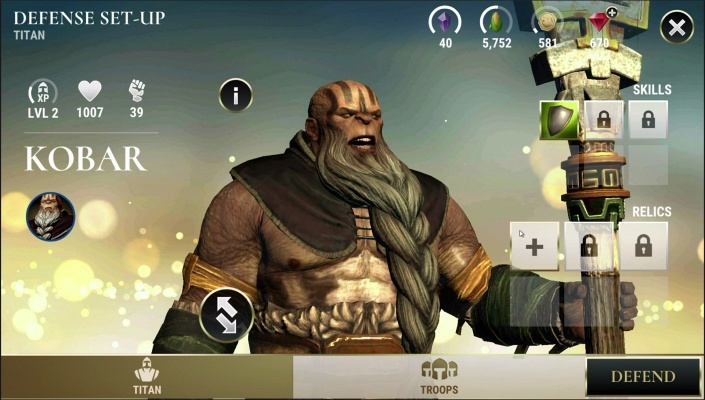 True to Zynga’s mission to connect the world through games, Dawn of Titans delivers social features that make it easier for players to connect, compete and collaborate. In Dawn of Titans, players are never alone, with a number of social features including deep player-versus-player gameplay, Alliances, Leagues, resource sharing, global in-game chat and live, weekly events. 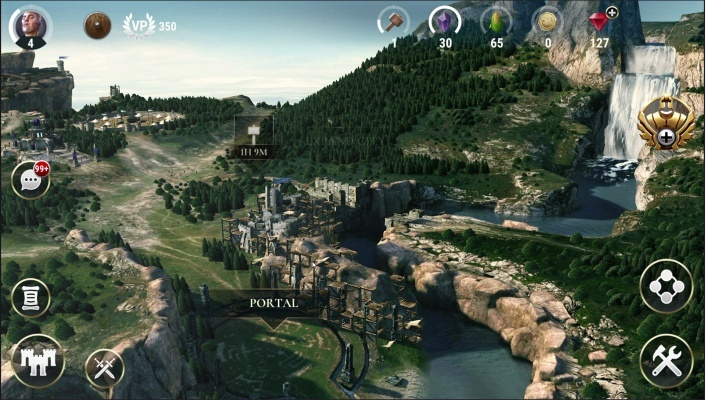 The Alliances are visualised within a dynamic real-time environment where players can see their Alliance and others in a unique 3D worldview. As players advance into new Leagues with more skilled Alliances, they can earn rewards, such as access to rare Titans, spells and other in-game resources. 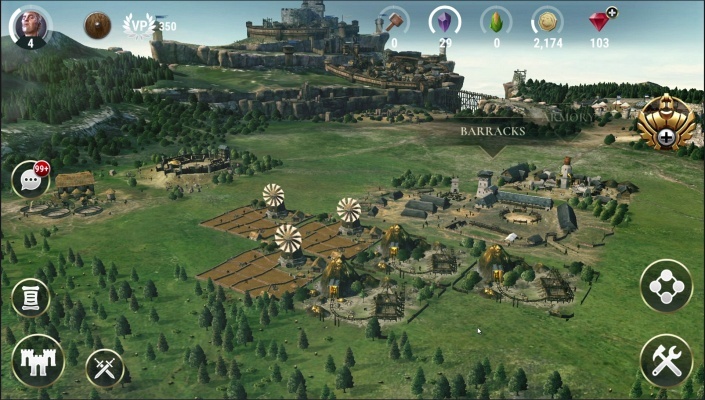 The game also includes a new Pin-to-Raid feature, where players can pin an enemy land and instantly request Alliance member assistance in attacking and capturing that kingdom.